The result of this high-consequence complexity is that many individuals overseas are eliminating their U.S. citizenship. Those that hold dual citizenship often are nationals with a “quality” country – the EU, Canada, Australia, or New Zealand – and are allowed travel without a visa through much of the world (including to the United States). [vii] In the face of accessing the value of their U.S. passport, the conclusion by many is that there is a real danger. Many institutions are ill-equipped to handle FATCA compliance, much less retracing steps to correct an error. Already, the IRS has extended reporting deadlines because foreign governments and FFI’s haven’t finished developing IT systems, and aren’t prepared. Some believe the scale of implementation is so large that the cost of implementing FATCA will “far outweigh the revenues.”[viii] Scotia Bank in Canada, alone, has already spent $100 million. [ix] There is a high likelihood of a taxpayer getting caught between the cracks of an imperfect system, and being the victim of incorrect reporting, which comes with significant consequences. An account holder does not have to be a U.S. citizen for their FFI to report them based on “U.S. indicia” – the distinguishing information on their account. “U.S. indicia” can mean as little as a U.S. telephone listed as contact information. One would hope that if an account held by a true non-U.S. citizen was incorrectly reported as that of a U.S. citizen, the false report would be quickly corrected. However, the sheer size of the players – the IRS, state governments, and FFI’s – creates a likelihood that corrections will take months, even years, to sort out in litigation against the IRS or a foreign tax administrator. FATCA has changed Americans into outsiders in the international financial world. [xv] As one officer of a global bank reported, the banks are ridding themselves of the “U.S. Person pollution!”[xvi] American Citizens Abroad (ACA) has received multiple testimonies from Americans abroad who have had their foreign bank accounts closed, been refused entry into a foreign pension fund, or who cannot enter into insurance contracts overseas. [xvii] Some claim that “American citizens are being denied savings accounts, investment accounts, mortgages, credit cards and many of the basic financial services required to live and work in modern society, raise a family and to save for retirement.”[xviii] This is due to the fact that, while there are 780 million American bank clients overseas,[xix] this number is a drop in the bucket for banks who serve a much higher number of non-Americans. 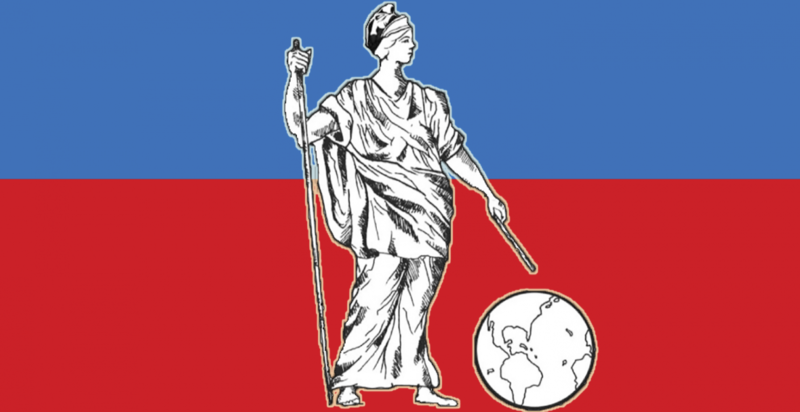 Categories: international affairs, international relations, international tax law, tax, tax law, United States, US domestic law | Tags: Center for International and Comparative Law, citizenship, foreign affairs, international cooperation, international relations, international tax law, tax, tax law, U.S. domestic law, U.S. tax law, United States | Permalink. In my first post, I defended a much-criticized theory of tax reform, called “formulary apportionment (FA),” by examining two tax dynamics in the oil industry in Russia. My conclusion was that the potential for market distortion when implementing a tax regime is so high that to cite that possibility as a weakness of FA is an over-generalized attack, and therefore invalid. I also pointed out that the industry chose to reinvest in low-return crude oil rather than investing in refinery upgrades during the time taxes had been lowered on crude oil exports. This example of “short term thinking” supports the premise of FA, namely that multi-national corporations (MNCs) gravitate to low-tax areas, even against their own long term interests. This week, I address another attack leveled at FA: that FA is weak in comparison with a solid modificaiton of the current system that allows transfer pricing. There are two variations of this critism, first in the form of a scholastic opinion from Professors at the University of Michigan Law. They say if the current system of residual taxation in the U.S. were properly applied, FA would not hold its own when stacked up against a “properly applied” worldwide regime. The second variation is in the form of an actual proposal by the OECD, which makes recommendations to modify, but still keep, the current separate entity approach based in transfer pricing. Credible advocates of FA cite the weakness of both the “properly applied” plan and the OECD proposal as efforts to ‘tweak’ a system that will still support aggressive profit-shifting. Interestingly, some believe that implementation of the OECD proposal will actually result in an eventual adoption of FA. A few readers may be aware of the groundswell toward international reform driven by the highly-distortive market effects of transfer pricing. If you aren’t, here is short version. Business dealings across boundaries raise the question—what income will be taxed by which government? The current system for most MNEs is to employ “the arms-length” method, which permits transactions between parent and subsidiary companies (“transfer-pricing”), though located in different countries as independent, taxable events. Tax credits to prevent double taxation would apply in accordance with the applicable international treaties, and the tax bases can be aggressively affected as corporations seek to maximize after-tax profits by constructing the transactions in such a way that income shows up in low or zero tax countries. FA, a “unitary” system, regards a company as a single unit, and then formulates a top-down division of its income into countries based on agreed-upon factors. The goal of the reform is to prevent base erosion and eliminate complexity. Some scholars claim that if the U.S. had proper enforcement and clarity in the law regarding its residual tax, the value of low-taxed foreign-source income would be neutralized. U.S. residual tax is the liability applied to the balance of income not covered by a foreign tax credit. At present, deferral and cross-crediting features of the U.S. system allow its residual tax to be eliminated or substantially reduced. Ideally, tax would be imposed on low-taxed foreign income of U.S. residents as the income was earned, thus removing the impetus to defer the repatriation of foreign income. While still seeing some distortion, it cancels FA as a unique solution, since both (the well-enforced system and FA) would run about neck-in-neck with negative, distortive effects of base eroding deferrals and cross-crediting. A properly applied system, it is argued would make the U.S. a true “territorial” regime, whereas with deferrals, cross-crediting, and other features of the U.S. system make it so badly flawed that it is not a true worldwide regime. However, Joseph Stiglitz, a Nobel-prize winner and one of the most outspoken critics of global economic inequality recommends scrapping the arms-length principle. He argues that small tweaks will not prevent aggressive, artificial moves of earnings and profits to low-tax countries. For example, the evolution of intangibles in a global, digital economy makes the arm-length pricing impossible. Where the cost of a barrel of oil for the purpose of an arm’s length transaction can be determined using “comparables,” one cannot fix a comparable for an iPhone in which the camera feature alone has 279 patents. Another downside, he states, is that countries who lack the ability to keep up with high-stakes profit manipulation are exploited. It is hard to imagine Eritrea coming out as a winner against a Pfiezer or a Siemens! Drafters of the OECD current proposal for model rules and treaty creation doubt that FA’s formula-based system would encourage investment decisions that are more efficient and tax-neutral than under a separate entity approach. The Secretary-General of the OECD states its proposal will drain the motivation to shift profits by re-aligning taxation with economic activity and value creation and put an end to double non-taxation. For example, the proposal kicks-off negotiations towards synchronicity within the global network of bilateral tax treaties with the goal of implementing treaty-based BEPS measures. Critics of the OECD proposal argue that “Luxleaks-type” tax avoidance facilitated by tax rulings is still possible. Implementation of the proposal will not only not eliminate the practice of using secret tax rulings, it will increase the complexity of the international tax system. Surprisingly, some experts claim that certain approaches called for by the OECD may have an unintended consequence: specifically, regarding the proposed call for country-by-country reporting for taxpayers and that income be tied to “significant people functions” (a way to apply tax to non-financial services sector). These experts assert that these OECD proposals will incentivize a formulary approach among multinationals. To the extent a boots-on-ground implementation of the OECD requirements begins, we may see a move to a formulary system, even absent a comprehensive overhaul. In my next blog I will discuss how the recent Russian bunker oil pricing continues the global tax reform analysis. Stay tuned! Julia Brent is a third year law student at the University of Baltimore, focusing on International Tax (candidate for J.D. 2016). Julia graduated from the University of Hawaii with a B.A. in political science. As a CICL student fellow, she is interested in the tax impact of cross-border transactions on medium to large businesses. Julia has extensive experience in the management of high volume cases, including handling distributions related to a multi-million dollar art estate and managing all expert witness contracts for the Savings & Loan (WINSTAR) litigation, a $30 billion dispute involving 125 cases, on-site at the Department of Justice. J. Clifton Fleming, Formulary Apportionment In The U.S. International Income Tax System: Putting Lipstick On A Pig?, 36 Mich. J. Int. L. 1. J. Clifton Fleming, Formulary Apportionment In The U.S. International Income Tax System: Putting Lipstick On A Pig?, 36 Mich. J. Int. L. 5. Categories: comparative law, international law, international tax law, oil, Russia, tax, tax law | Tags: comparative law, international law, international tax law, Russia, tax, tax law | Permalink. The global tax system needs an overhaul. The growth of international opportunity has created a danger for the economic health of many countries in the form of tax base erosion. Multi-national companies (MNCs) raise revenues by using domestic tax laws to shift profits in a system that puts investors in the dark, hinders compliance, and encourages peculiar, need-of-the-moment legislation. Examples of such piecemeal legislation include the current U.S. Senate proposal for a temporary 6.5 percent repatriation tax holiday to fund highways or Belgium’s 2016 proposed “Diamond Regime,” which eliminates the ability to carry forward losses of the MNCs of that industry. FA reform is based on a formula-based fraction of total income (sales, payroll, and capital stock), with the fraction tied to the geographic point of sale. In the U.S., MNCs currently determine their profits separately in each operational jurisdiction, while goods or services are sent all over the world. A system of FA would replace this separate accounting method. For example, a MNC would pay U.S. taxes only on the share from its total income that is allocated to the United States. A move to FA would noticeably reduce incentives to shift economic activity or income to low-tax countries, and by treating similar firms in a uniform fashion, regardless of where they are incorporated, would eliminate much administrative complexity. The theory, however, has been regarded as having many faults, most of which center around the hazards of applying the method in the current environment of different systems and different currencies. One stand-alone criticism, and the subject of this blog post and the two subsequent posts over the next weeks, is that there would be problems in violations of a commitment to a growth-oriented tax system that minimizes the distortions of market signals (the stated OECD goal for tax reform among OECD nations). However, it could be argued that the FA method of taxing based on geographic location of sales would likely support growth because it allows for a “local” government, which is closer to the source income, to potentially promote the industry with careful tax design. Russia’s new tax regime has such a goal for its oil industry; policy-makers’ desire to stimulate upgrades in its oil refineries. Russian refineries were originally built to satisfy the demands of the Soviet industry, and, as of 2000, produced large volumes of fuel oil, low-quality diesel, and low-octane gasoline. Its crude was mostly processed to be fuel oil for domestic heating needs. Now, the market has a permanent demand for the higher flashpoint fractions, i.e., high-octane gasoline, petrochemical feedstock, and jet fuel. In 2000, the government took on configuring a “growth-oriented tax system,” one that would not only encourage refinery upgrades, but also satisfy the needs of the government, since thirty-two percent (32%) of Russian government revenue comes from oil-extraction taxes. To stimulate refining depth, Russia implemented the equivalent of a micro-version of FA when applied to the Vertical Integrated Oil Companies (VIOCs) (the “well to pump” large companies, like Royal Dutch Shell or Exxon). The oil industry has two sectors generally, “upstream” and “downstream.” The first refers to all aspects of lifting crude from a field, and the second refining the crude (either by straight run or the more processing-intense ‘cracking’) to produce valuable products like gasoline. Refineries, obviously, are part of the downstream sector. Russia chose to structure its tax burden evenly between the upstream and downstream sectors, in the hopes of creating cross-subsidy between upstream and downstream segments, providing significant impetus to refineries, including primary processing plants. This it did by lowering export duties on oil products, and pricing crude oil domestically as a function of export netback price. “Netback” subtracts the costs associated with bringing one unit of oil to the marketplace from all of the revenues from the sale of all the products generated from that same unit. By basing the tax regime on the concept of “netback” and then working backward to figure tax on a fraction that is tied to sector, this is similar to the structure of FA when applied to the microcosm of a VIOC. 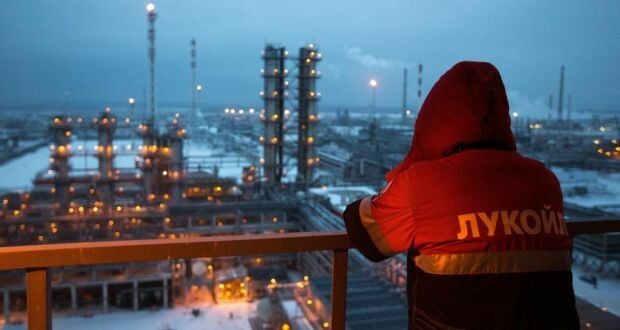 The result was that since the year 2000, the total output of Russian refineries has risen from 190 million tonnes to 302.5 million tons, with VIOCs accounting for 57% of increased volume. In only eight years, from 2005 to 2013, total downstream investments by domestic VIOCs soared from US$1.4b to US$10b, with investments over the past three years rising by US$2.3b*. An interesting aspect in this result was that the initial response by the VIOCs was to use the savings on exports to just do more of what they were already doing, i.e. producing low grade oil products. 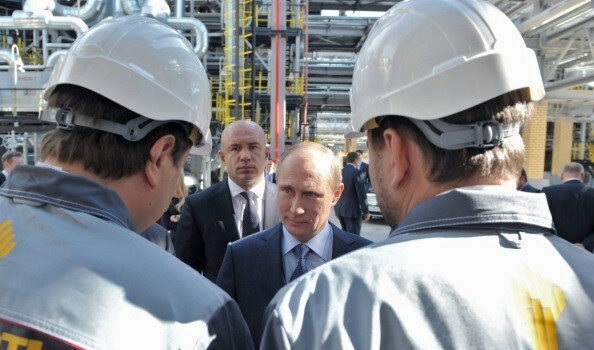 Although dashing the hopes of Russian policymakers, the tax maneuver indirectly drove refinery upgrades as the extra funds were available as VIOCs responded to market pressure by ultimately upgrading the refineries. Though the result appears to strengthen the criticism that FA results in negative market distortion, it actually undermines the criticism for two reasons. First, by virtue of the fact that distortions simply happen despite efforts to the contrary: a favorable tax environment was and is seen in Russia as a crucial driver of investment activity in the downstream segment. A general attack discounting FA as a legitimate theory for this reason is inadequate at best, since FA is such a large system reform. Second, the Russian cross-subsidy example supports the FA reform broadly in an unexpected way. FA advocates assert that the current system generates a large tax incentive to earn income in low-tax countries, and multinational firms respond by earning disproportionate profits in low-tax locations. 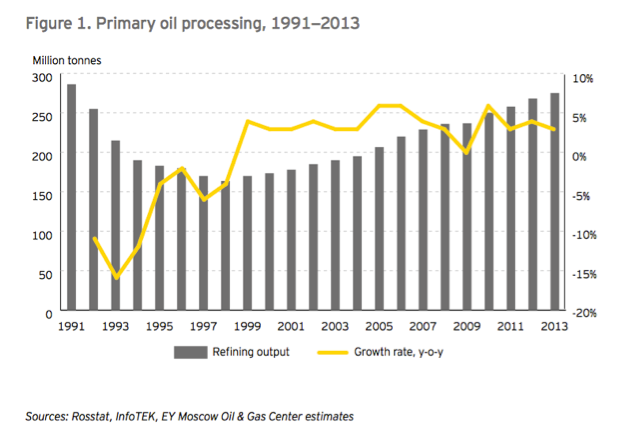 In the Russian example, even though it was in the VIOC leaders’ best interests to upgrade refineries – and there were many upgrades that were financially feasible – when faced with the lowered duties on exported oil products, rather than upgrading, producers gravitated toward the low-taxed products in their own industry. Julia Brent is a third year law student at the University of Baltimore, focusing on International Tax (candidate for J.D. 2016). Julia graduated from the University of Hawaii with a B.A. in political science. As a CICL Fellow, she is interested in the tax impact of cross-border transactions on medium to large businesses. Julia has extensive experience in the management of high volume cases, including handling distributions related to a multi-million dollar art estate and managing all expert witness contracts for the Savings & Loan (WINSTAR) litigation, a $30 billion dispute involving 125 cases, on-site at the Department of Justice. Categories: comparative law, international law, international tax law, tax, tax law | Tags: Center for International and Comparative Law, comparative law, international law, international tax law, Multinational companies, Russia, tax, tax law | Permalink.